The Couple is well aware of the global interest in their wedding. Jamie Lowther-Pinkerton, the prince’s private secretary, has been asked to make sure that everybody is able to enjoy the big day. 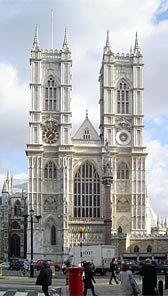 The Dean of Westminster is very pleased that the couple chose Westminster Abbey for their marriage: “We look forward to the detailed planning for what will be a great and happy occasion for the couple themselves, for their families and friends, for the country and Commonwealth and for well-wishers across the globe,” he said. According to the BBC, William and Kate wanted to marry on a Friday in spring and 29 April was chosen because it fell after Easter and Lent and before a busy political programme in May and June. The extra holiday will fall in the same week as Easter Monday, giving millions of workers in England, Wales and Northern Ireland a three-day week. This was written by admin. Posted on Tuesday, November 23, 2010, at 12:17 pm. Filed under Wedding. Tagged 2011, 29 April 2011, Westminster Abbey. Bookmark the permalink. Follow comments here with the RSS feed. Both comments and trackbacks are currently closed. Wonderful news, I have followed his life from the time he was born, would love an invite to the wedding! Wnderful news form Italy too!!! Yeahhh!!! I love Diana and obviously William and Harry, I’m very happy, I’m planning to go to the royal wedding from Mexico!! !